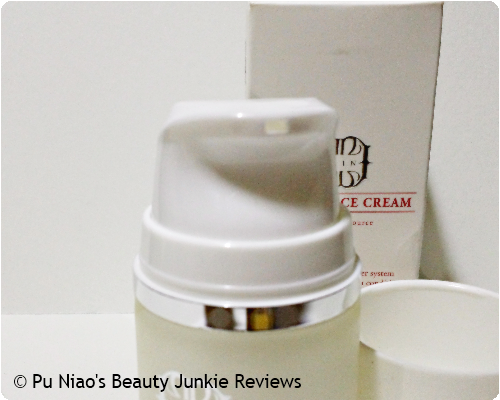 This review is proudly sponsored and brought to you by The Skin Shop Singapore, introducing their latest product ❤❤❤. Any external images, if used, solely belong to their respective owners and not to me. I only re-link and use them as part of this review. 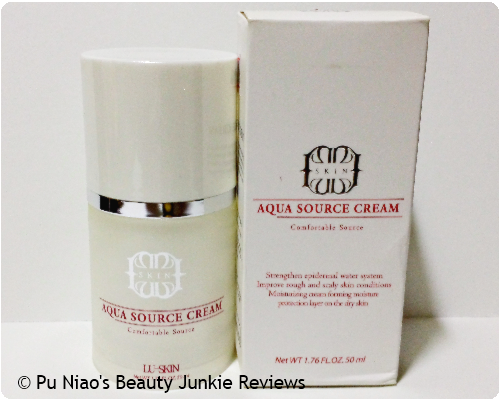 LUS Aqua Source Cream: LUS Aqua source Cream is a highly moisturizing cream keeping skin soft and silky by retaining moisture of the skin long enough, offering dual moisturizing effect to skin with water drops freshly popping up. The product itself actually looks thick, but I find that gentle massaging into the skin doesn't take too long before everything gets thoroughly absorbed into the skin. Here's how the product looks like when I start to spread it around. Texture and consistency wise, it looks really thick and opaque as soon as it is dispensed out. And despite the product still looking thick and creamy when spread around my skin initially, it slowly spreads evenly and sink into my skin without too much hard work needed, almost like water. I simply have this peeve for products that seemingly look lightweight but took me ages to thoroughly spread and massage into my skin, and ended up having the product look as if it's halfway absorbed into my skin and promptly gave up in absorbing anymore. 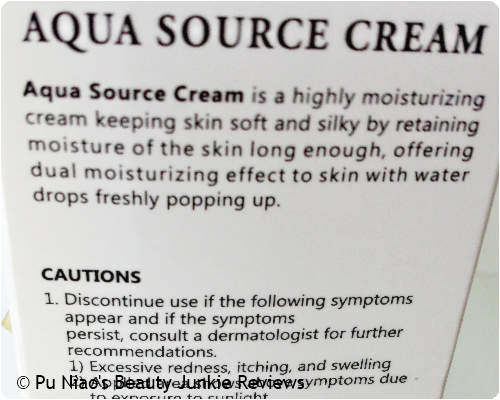 But not with this LUS Aqua Source Cream! In short, it looks like thick and creamy, but feels like a really lightweight lotion, even more lightweight than any products I've tried and tested so far. And yet, it sinks right into the skin like water. Because right as soon as you start massaging the product into your skin, it immediately formed these water droplets right smack on the surface of your skin. This actually made me feel tempted to dispense and apply another layer, repeatedly. I'm actually a sucker for products that not only pops up water droplets when applied, but especially products like these that also helps with my angsty skin sometimes. Despite the product feeling a little sticky upon o, the stickiness fades away before I even realize it and instantly, I can see my skin looking more moisturized. As a final note, I have to say that although I do not combination skin, I don't feel this product fare any worse at all. Instead, the oily areas of my skin feels slightly better than before as I noticed that it was less oily than before. And the dry areas of my skin are basically thankful for the moisturization that is being able to be locked in. Let's just say that when I woke up in the morning, my face doesn't feel oily at all, something that is astonishing as I always wake up with an oily face in the morning due to the amount of products I put on my face before bed. WHAT I THINK: This is definitely that ONE product I die die must have and include in my skincare regime nightly. It looks heavy, but feels lightweight and absorbs like water. And I mean, literally sinks into my skin while having water droplets show up, like literally. And I dare say, my skin looks and feels better recently. My acne/pimples are a little more stable now, instead of the usual "I popped up on your skin and I forgot what I'm supposed to do while sitting on your face" scenario. My skin actually even heals pretty decently now, after my acne/pimple episode, with lesser scarring than before. 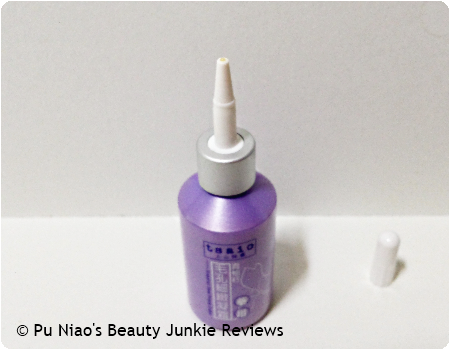 WHERE TO REDEEM SAMPLE: Not particularly sure, since I seldom go into any skincare stores. Not that I don't, it's just that I tend to buy a little more so I can avoid the crowds ^^; But note that LUS Aqua Source Cream is retailing at only $39.90 on their website over at http://www.theskinshop.sg/lus-cosmetics/46-lus-aqua-source-serum.html. 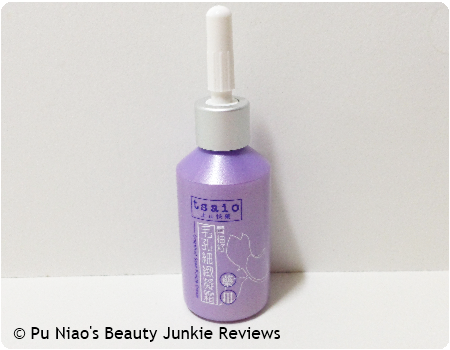 I am definitely getting a new bottle at the end of this month (when I get my paycheck ^^). 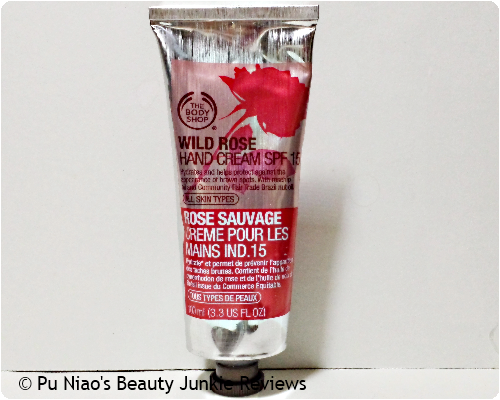 The Body Shop Wild Rose Hand Cream SPF15: This daily hand cream with rosehip oil provides much needed moisture to mature skin while helping to reduce the appearance of brown spots. It smells really strong of rose when initially applied, but the scent slowly dissipates until it doesn't make you feel nauseous at all. Every now and then, you get a whiff of roses. But, if you're having a headache, migraine or feeling slightly dizzy, the rose scent might get to you and make you feel a little nauseous though. 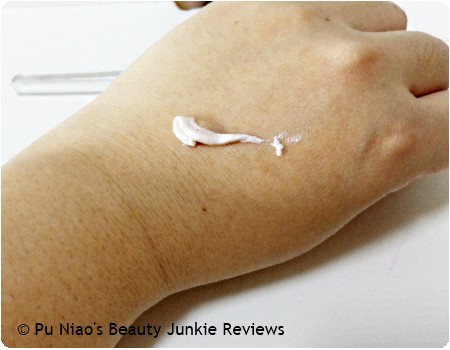 It is really creamy, but it doesn't take too much effort and trouble to massage it into my skin. And it doesn't even feel oily at all. VERDICT: First of all, the hand cream itself looks so rich, thick and creamy but it doesn't require too much effort and trouble to massage into the skin. The downside is that, it doesn't spread too easily at first. So, you definitely need to take a little time to spread it around your hands for overall coverage. And the good part is that it leave this greasy/oily sensation after application. Despite the rose scent of this product being strong initially, it slowly dissipates after application and it doesn't smell that strong of roses after application. The scent might not be for you if you are someone who dislikes those rose-y scented hand cream. Although I personally have to admit that once applied, it gradually slowly sinks into the skin and you can instantly see your skin feeling and looking much more moisturized immediately after application. 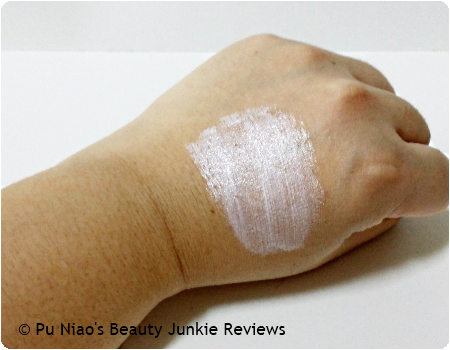 It doesn't leave this chalky white residue after application, which I have to grateful for and if I were to compare this hand cream to other hand cream I've tried and used before, it might pale a little in comparison. Despite the description stating that it helps to reduce the appearance of brown spots, I found that it doesn't fade some old discolored scars on my hands at all. 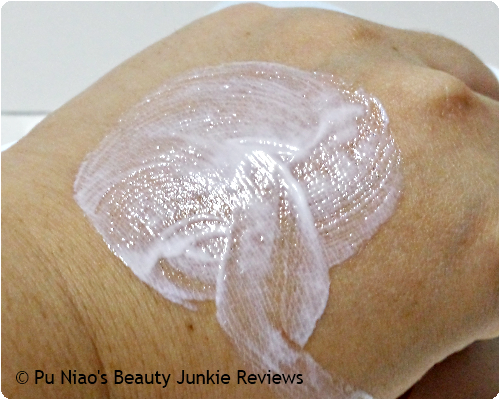 And get this straight, I always apply hand cream on my skins all the way to my elbows before going to bed each night. As for the SPF part, I don't really see much of a difference at all since my hands look pretty much the same skintone before I started using this. WHAT I THINK: Unfortunately, this doesn't really aid in the reduction of brown spots. I'm presuming that you need to use this for much longer periods to actually see the difference. Plus points for being so rich and creamy but yet effortless to apply. 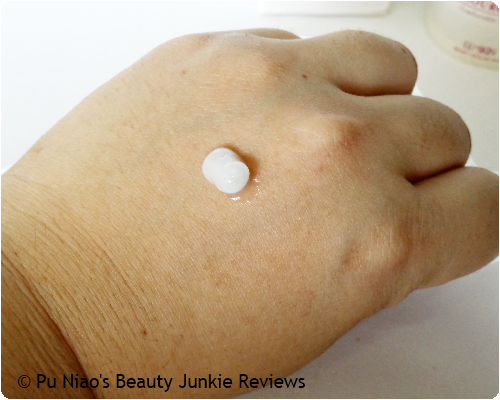 WHERE TO REDEEM SAMPLE: So far, there's no sample sachet for this hand cream. 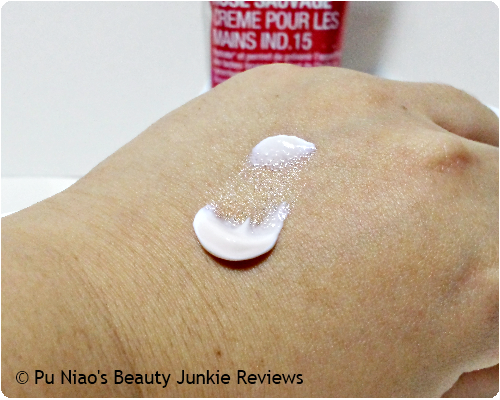 But you can pop by any TBS outlet in Singapore to give this hand cream a try instead. This product has a fruit grapefruit scent upon breaking the seal open, and luckily, it didn't smell too overly sweet. If not, it would have felt as if I'm applying actual grapefruit on my skin instead. VERDICT: The consistency of this product feels rich and creamy, but the texture is really light. It instantly dissolves and melts into my skin right immediately upon application. And to be honest, I've been religiously using this for quite a while now, but I've failed to see the pores on my nose looking tightened. It's almost as if I'm just applying moisturizer that is intended for the nose area. Despite scientific research claiming that grapefruit helps in acne and pimple related skin issues, I actually didn't see much of a difference before, after and using this product at all. 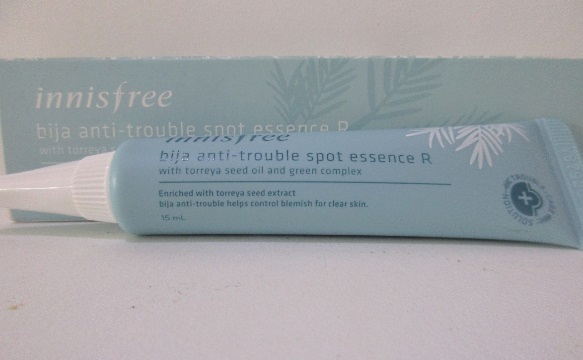 And I even took the trouble to religiously use it as soon as I feel any acne/pimple making a special appearance. But then, I do have to be content with the fact that it didn't aggravate my already somewhat sensitive skin and made the acne/pimple even more troublesome to deal with. In fact, it's almost as if there's no significant improvement after using this product. Almost to the point that I simply stopped using it after a month of zero and negative results at all. WHAT I THINK: Other non nose-pore tightening products probably worked better than this one. 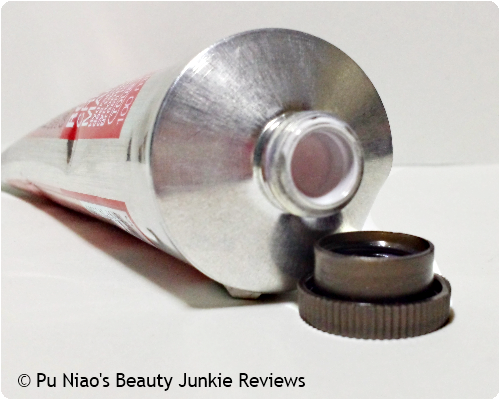 WHERE TO REDEEM SAMPLE: None for redemption at any Beauté Spring retail outlets in Singapore. There's not a Singapore-base Facebook page in sight either. You literally have to make a trip or a phone call to the nearest Beauté Spring outlet near you and enquire for the products. Feng Shui master, Lilian Too (author of The llustrated Encyclopedia of Feng Shui) teaches us how to get the romantic winds blowing our way. The part of your home which represents love is in the southwest corner. Determine which way your main door faces, by using a compass. From there, you can decide which is the southwest corner. If this corner has good feng shui, the marriage and love aspirations of the household will be positively energised. How do you energise your love corner? Try one of these suggestions. Natural crystals: Particularly those that are harmonious with the southwest sector, such as ra amethyst, quartz and cornelian. To make the crystals more potent, combine them with lights. Artificial lead crystals in the form of paperweights are equally effective. Large earthen jars or pots: In any rounded shape are great for southwest corners. Place peacock feathers or flowers (artificial or fresh) into the jars. Note that you should never put dried or dead flowers into the jars as they represent the failure and death of a relationship. A globe: Which is symbolic of Mother Earth will also stimulate the corner well. “Activate” it daily by giving the globe a spin. This creates yang energy that will help to balance the yin energy of the southwest corner. Lights: It is important to keep the southwest corner of your home well-lit. 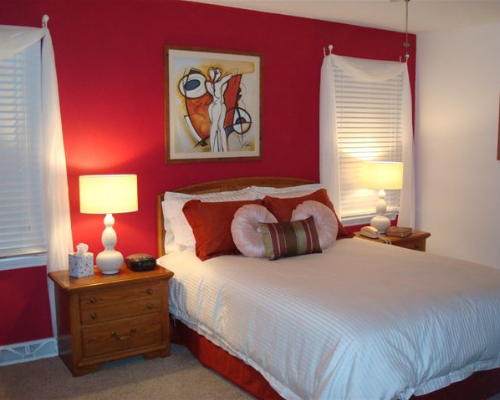 Lights are a potent feng shui tool that are used to prevent the energy from becoming stale. Pebbles: Place the pebbles in a shallow glass or crystal bowl and fill it with water. Sprinkle some flowers onto the water and place a floating candle in the centre of the bowl. This arrangement combines a variety of elements and the ritual of lightning the candle daily will attract vital energy to the corner. A red love knot: This special knot is constructed so that it does not seem to have an end and appears to go on forever – which was why Chinese ladies of yore used it as a symbol of undying love. It will create loads of romantic energy when placed in the southwest corner. If you don't know how to tie this knot yourself, just buy a pre-tied one from local Chinese department stores. 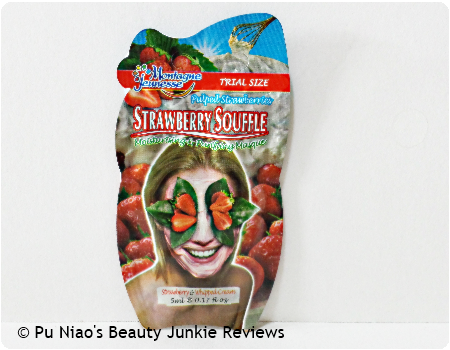 Montagne Jeunesse Strawberry Soufflé Moisturizing & Purifying Mask: Cleanse your skin with Strawberry Soufflé face masque as part of your regime for a purified, toned smooth complexion. Loaded with natural goodness which leaves skin hydrated and refreshed allow your skin to breathe with soothing Aloe Vera & calming Vanilla. Experience the sensation of sheer Strawberry delight and enjoy deep cleansed, healthier skin. Looks creamy and rich, but when applied, it has the right consistency of a clay mask. Best recommended to apply just before going for a shower or bath for easy rinse-off without the fuss and messiness. VERDICT: This face mask has the right consistency that is regular/typical of clay mask, and although it looks creamy, I personally find that it doesn't take too much effort to apply onto my face. Instead, I relish the moment when I apply such yummy smelling mask. The color itself is a very pale pink color that comes with a sweet and refreshing strawberry fruity scent and applying this mask is just simply pure bliss. Usage of this mask is basically pain-free and idiot-proof as well. First of all, you need to cleanse your face well of all dirt, grime, make-up, etc. Next, apply this mask and let it sit on your skin for a good 15-20 minutes or at least until it dries up a little before rinsing it off. I personally recommend using mask(s) like this prior to shower or bathing, especially if you find water dripping along your arms, off your elbows and onto the floor. Rinsing it off inside the bathroom during shower/bath is best as you don't need to worry about unnecessary spillage or splashing onto the floor. After using this mask, I find my skin/face feeling so cleansed, refreshed and feeling oh-so-nourished. Personally, I find this face mask gentle, so I am guessing that those of you sweethearts out there should be able to use this if you have really sensitive skin that cannot tolerate skin/face masks that gives off that tingly and pricking sensation upon and after application. And despite the product I used is a sample sized sachet, I found that it is more than sufficient to use it on your face and up to the chin/neck area with slightly more to spare. WHAT I THINK: No bunny bashing? Checked. No animal bits seen or felt? Checked. 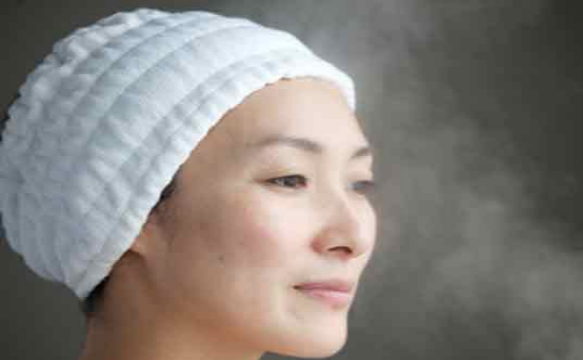 Gentle on skin yet cleanses, refreshes and nourishes? Checked. I;m definitely going to hunt down more variations of Montagne Jeunesse masks to try out. WHERE TO REDEEM SAMPLE: Sadly, I couldn't find their Singapore-based facebook page. But what I do recalled is that, Guardian and Watsons are retailing travel-size packs around S$2, so, it's reasonable to buy a few and try them out.